Determination, will power, grit, dedication, sacrifice – these qualities are known to manifest irrespective of age, gender or social class. 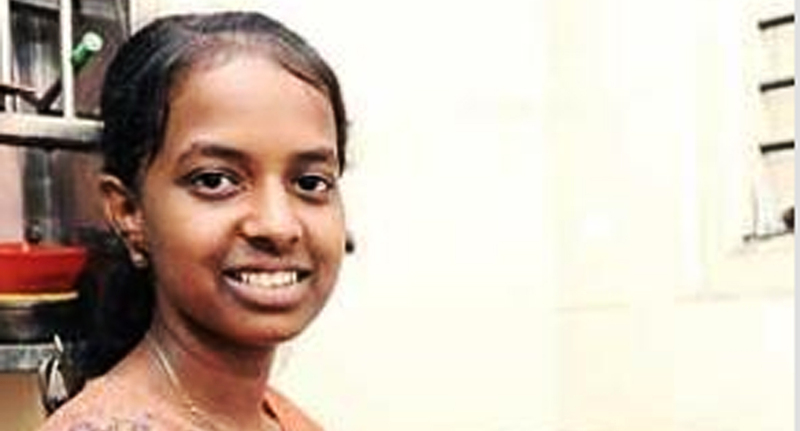 This year, like every year, as the girls in Karnatak board were celebrating the fact that they had outperformed the boys yet again, 17-year-old Shalini had more reasons to give herself credit for. Not only did she score 84.8% in the Science stream of Class XII, she also quietly toiled away working as a domestic help in at least eight part-time jobs, and as a cleaner at an office. Her responsibility after work mostly included tending to her sick father, finishing housework, and studying for her upcoming exams. Having passed with flying colours despite the daunting circumstances, she’s preparing for the competitive exams for admissions to medical, dental and engineering courses in the country’s professional colleges. She had to struggle at multiple levels in her education. Her medium of instruction changed from Tamil to Kannada in between her education; then, a few years back, she had to pick up English too. At home, her father has been bed-ridden because of an accident ever since she was 7. Her mother, who supported the family as a domestic help, had to take help from Shalini when her younger brother was diagnosed with third-stage blood cancer earlier this year. At 6.00 am, she rushes to an office where she mops the floors and cleans the bathrooms. “The work ends by 7.30 am and then I head to another house to wash clothes. I am relatively free by 9 am and go home to prepare for CET. My study, coupled with my household chores, ends by 12.30 pm when it’s time to step out again for two more jobs. I come back by 4.30 pm and have time till 6.00 pm to study.” With a brief interlude for her studies, she is out for more work, returning only at night when she dives back into her books again as she burns the midnight oil. “She is a hardworking girl, friendly with everyone and attentive in nature. Despite her family’s condition, she always has a smile on her face,” Prathap Naidu, Principal, SGPTA PU College, Thyagarajnagar, said. One wonders where the teenage girl gets all her strength & tenacity from. Times of misfortune separates the grain from the chaff; it can often bring out the best in individuals, something that they may not have been aware of yet. The boundless reserve of perseverance and enthusiasm comes from true faith in one’s ability to last the odds and make the best of a given situation, unfortunate or not. Shalini is a worthy example for all of us, to learn from and emulate.